Private walking tours and tours by car in Moscow. Tours to the cities of Russian Golden Ring: Sergiev Posad, Vladimir, Suzdal. We offer tours in English, Spanish, German and Italian. Rich history of Moscow Metro in 2 hours private walking tour. Squeeze in as much sightseeing and entertainment as you can! A fairy-tale castle, vodka museum and traditional souvenirs! Visit the most lively bars of Moscow! Visit Russia during the best time! Kolomenskoye, Tsarytsyno and photoshooting in 17th century's style dress! 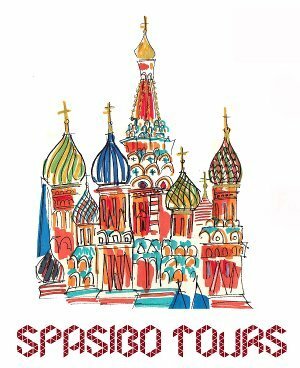 I spent 5 days in Moscow with Katya of Spasibo Tours as my guide. She went over and beyond to make my stay in the city very memorable. As a solo traveler I could not have managed without her by my side to accompany me to the "must see" sights. She became my right arm and would thoroughly recommend her services. Excellent guide, friendly and very knowledgable. English spoke first class. Great tour of the market and certain stops of interest on the metro. Was more than willing to help in haggling to buy items at the market. I booked my 2 day Moscow sightseeing tour with Viator and quickly got an e-mail from Katya introducing herself and answering some question I had right away, I knew I was off to a good start!She met me at my hotel and we started our walking tour of Moscow. It’s a very interesting city and Katya is well versed in the history and knows all the best sights and ways around the city.Over the course of the two days I felt like I was totally immersed in all the major sites and some very interesting little know gems. Besides the Kremlin and Red Square I think my favorites were the amazing metro stations she brought me too.Katya is young, enthusiastic, energetic, full of knowledge and has a sweet down to earth attitude that makes you feel comfortable with her from the start.She always asked if there was anything I wanted to see or do, she made sure we saw all the top site but also what interested me. In a nutshell I HIGHLY recommend going with Spasibo Tours when you travel to Moscow for the best possible overview of the city and its history, you will be glad you did!